Kohei Uchimura is not a fan of a noisy crowd, so the Japanese gymnastic superstar might as well invest in a soundproof earplugs before heading to the 2016 Rio Olympics next year, where he attempts to become the first gymnast to win consecutive Olympic all-around title in nearly 40 years. 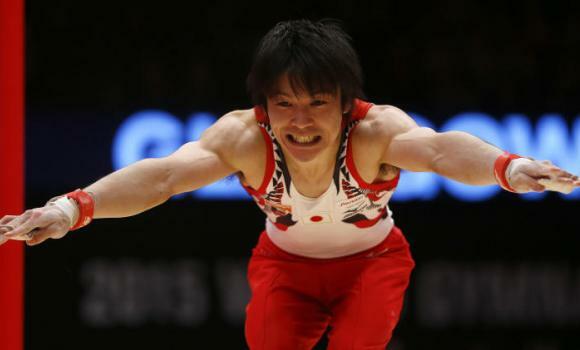 “King Kohei”, who has been considered by Japanese people as “The Superman of Japan” and has been immortalized by being featured in an animated TV series, will compete in Brazil next August as the first-ever gymnast who holds six-consecutive world all-around titles. After earning all the Olympic and World titles since winning the silver medal at the 2008 Summer Olympics, the Japanese gymnast will be the most sought-after athlete to win straight Olympic all-around titles. He absolutely brought excitement to the World Championships after leading his country to win its first world team title in 37 years. Aside from that, he also won the world titles in both the all-around and horizontal bar finals. Although there are other gymnasts who owns more titles and gold medals, no one has ever maintained their superiority in the sport for as long as Uchimura. In a physically and mentally-demanding sport that seems to ditch champions faster than it takes Usain Bolt to run 100 meters, Uchimura’s period of dominance is amazingly unlikely. However, the Japanese young gymnast, who also wants to meet Bolt, appears uninterested to talk about being the best. “I can’t say I’m the best in the world, even though I’ve won a lot of medals. I have seen many great gymnasts in history, so I don’t think I’m the best,” he said. The Japanese superstar wasn’t the only athlete setting new records in Glasgow. 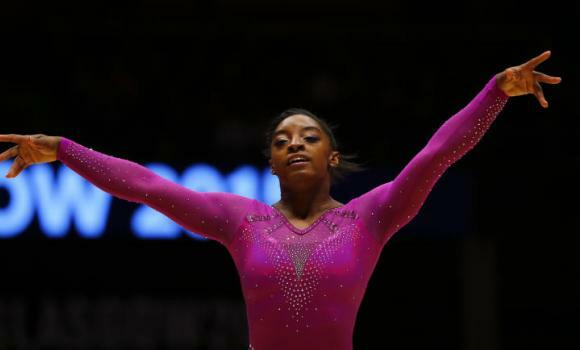 Simone Biles, an American artistic gymnast, has also displayed her dominance in Glasgow after becoming the first female gymnast to win three-consecutive all-around titles at the World Championships. “I just keep blowing my own mind,” said Biles, who became the first-ever female athlete to hoard a total of ten World gold medals. After her success in Glasgow, the American record-setter’s next goal is to prevent herself from being a victim of the “curse of being an all-around champion”. Ever since the all-around event became a part of the Olympic program in 1952, only three female athletes have managed to obtain back-to-back World and Olympic titles – Larisa Latynina, Ludmilla Tourischeva and Lilia Podkopayeva. Champions Svetlana Khorkina and Shannon Miller, both fell victim to the curse, but Biles believes that she won’t suffer the same curse. “That’s a stat that’s been placed into everybody’s head, that you can peak too soon,” said Biles, who won the world title in the team, all-around, balance beam and floor exercise finals in the gymnastics championships last week. While Biles and Uchimura acquired a total of seven gold medals at the World Gymnastics Championships in Scotland last week, other gymnasts were left competing for fragments of airtime. Max Whitlock delivered a jaw-dropping leg work in the pommel horse in the individual apparatus finals, making him the first-ever male British gymnast to win a gold medal in the history of the World Championships. Meanwhile, there was a mix of surprise and laughter when four female gymnasts –Daria Spiridonova (Russia), Fan Yilin (China), Madison Kocian (U.S.) and Viktoria Komova (Russia) — tied for the gold medal in the uneven bars event. The four of them earned a score of 15.366. Learn gymnastics for kids with us. With Bianka Panova Sport and Art Academy’s state-of-the-art facilities, highly skilled coaches, and fun and innovative training programs, you can ensure that your child will receive the highest quality of education. So, what are you waiting for? ENROLL NOW! Also, you could like our official Facebook Page to keep yourself posted with the news and informative posts related to ballet and gymnastics.